Be sure to check out upcoming events this November noted in our Fall 2018 Angelica Village Newsletter! What is an “Intentional Community”? Have you ever heard of one? It’s ok if you haven’t, the concept and implementation of them is still fairly new; to our culture at least. While similar concepts have been experimented with throughout the centuries and around the world, and though we are beginning to see new versions of them pop up all around the world, this concept as presented to us remains somewhat in its infancy and unique in its approach. In a culture that values independence and self-sufficiency, we have moved away from values which nurture connection, community, belonging, and togetherness, like some collectivists cultures still hold dear within their hearts. Like Individualist vs. Collectivist cultures, you might also consider the early notion of Gemeinschaft and Gesellschaft which contrasts small, rural communities with large, urban societies. More philosophies which inspire thought into these types of settings are Social Networking Theory (being organized in a group of others with similar interests influences behavior) and Social Capital Theory (Networking with others improves the quantity and quality of resources available to you). With these concepts in mind, we can start to understand the importance of being intentional about our social setting. An Intentional Community is a planned/organized community in which persons with similar goals or interests reside. While the structure of each community differs, as well as the interests to which they are based on, the idea remains that belonging, engagement, and inclusivity with a supportive social network brings happiness and improves overall satisfaction of life. 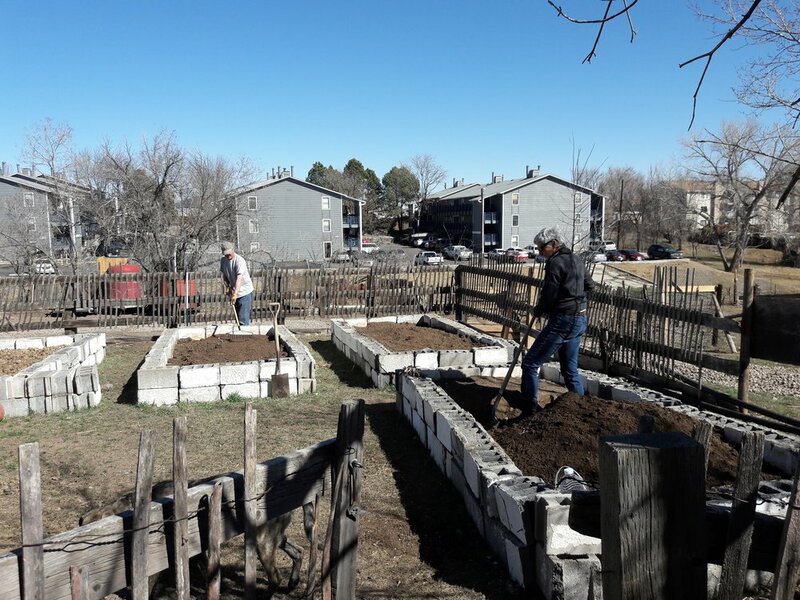 Some intentional communities are called communes (sharing almost everything including living spaces), while others are considered cohousing arrangements (independent homes in shared properties or settings) or ecovillages (arranged around sustainability). These are just a few examples. There are also spiritual communities which are social networks that come together to practice a shared faith. Angelica Village is an arrangement of multiple houses within a few miles of each other for the most part in Lakewood, CO, which are homes to individuals and families. Angelica Village is a nonprofit organization which operates through funds and donations to provide refugees of war and violence, immigrants seeking asylum status, former homeless individuals and families, foster youth, individuals with special abilities, and individuals who may have experienced more privilege and stability who recognize the value of an intentional community, wish to support this unique gathering of people for personal or political reasons, or simply find joy in sharing what they have. One aspect that is unique to its approach is that members of the Angelica Village Board are members who reside in the Angelica Village Community. Angelica Village currently provides housing to several individuals and families (some of which are duplex/apartment complexes), and also supports individuals and families who have transitioned out of Angelica Village’s foster house as youth and pursued their own homes upon adulthood (not provided by Angelica Village) but still wish to remain a part of the community. Angelica Village does more than provide housing. Angelica Village provides resources to those in need and nurtures a community of giving and receiving. A few examples of how Angelica Village does this: transportation (members of the community give each other rides to necessary events when resources are available), community garden (members of the community gather to work on the garden and enjoy its bounty every Saturday together at the foster home), donations (Angelica Village distributes donations to those who are in need with integrity), spirituality (fosters a community of spiritual growth). Angelica Village also provides enrichment services that do more than meet basic needs. Angelica Village encourages participation in events, art, sports, music, stability plans, employment plans, leadership/growth development, financial mentoring, personal mentoring, tutoring, and more. Throughout this process, Angelica Village models what it means to have and provide dependable support that all humans deserve and benefit from. To become a part of Angelica Village, consider becoming a pillar of support through monthly or one-time donations, or visit our Facebook page to sign up and volunteer. Angelica Village welcomes those who are curious about the community and want to know more about it. Visit https://www.ic.org/ if you are interested in learning more about intentional communities. Many members of the Angelica Village community who are marginalized struggle with a concept referred to as “Intersectionality”. This means that an individual may identify with multiple identities that intersect and create a new identity altogether. This new identity is often overlooked because people tend to focus on one aspect of the identity and struggle to view the person as a whole. For example, a woman named “Raven” is marginalized because she is a woman. She is involved in many groups that support women’s rights. Raven is also African-American, and involves herself in organizations that fight for racial equality. However, these groups and organizations may only focus on aspects that favor the majority individual in each category; so women’s groups may favor white women, and African-American groups may favor men...but intersectionality is a real issue for individuals like Raven, an African-American woman who accepts multiple marginalized identities and become especially overlooked in terms of power, privilege, and oppression. Many members of the community who experience intersectionality also feel pressured to assimilate to one or more of their cultures or identity, depending on where they are and what their culture favors. For example Raven, the hypothetical African-American woman used as an example earlier, might have been born in America and identifies with her American friends. Together Raven and her friends listen to American radio stations and watch American media, speak English and use English slang that is popular in the social sphere. They wear fashionable clothes from American stores and eat American food. However, Raven’s family is from Ethiopia. They eat traditional Ethiopian food and use injera, a flat bread to scoop and eat the food from. They are also Muslim and engage in Muslim practice, wearing clothes that reflect this culture. The women in Raven’s family wear shawls, cloths that cover their head, and habesha dresses. Raven’s family is disappointed in her for adhering to the American culture and doesn’t understand the American culture she has assimilated to. Though Raven understands her Ethiopian culture, she feels as though she is a stranger to it living in America and feels pressured by American society to adapt to American ways. When she visits Africa with her family, she feels more comfortable expressing aspects of her Ethiopian family. This hypothetical experience is similar to what many individuals experiencing intersectionality may feel during their lifetime. It is helpful and important for us as a society to understand the struggles that people who experience marginalization go through in order to feel dignified living in our country. Angelica Village is a community which embraces intersectionality and supports all cultures within it. At Angelica Village there are refugees of war, non-citizens, individuals who have formerly experienced homelessness, members of the LGBTQ community, and individuals with many different cultural experiences, identities, and backgrounds. Angelica Village returns dignity to those individuals who feel the pressures of intersectionality or marginalization (and those who may not) by supporting and celebrating differences, and recognizing what each member of the community can bring to it. In doing so, Angelica Village stands for the notion that more should be done in the world to achieve cultural acceptance and integration. Mighty projects are under way at Hestia Field, the house across the road where some of our house partners live. A new septic system has been installed almost singlehandedly by our plumber-in-residence. This is in conjunction with an additional bathroom and a connecting link between the house and the studio. The scope of the excavation was huge, entailing electricals, a new gas line and a new water line all the way out to the street. We shook our heads despairingly as gardens and landscaping were ploughed under, massive holes appeared, until all that seemed to remain were giant piles of rubble and subsoil. How could we begin to restore it or recreate even a semblance of our once lovely gardens? A spring work day was planned, and in a short few hours the impossible became possible. A family arrived to work on the vegetable garden, complete with tools, rototiller and three boys under nine. What happened next was nothing short of a miracle. Debris and rubble was removed, submerged brick paths torn up and the whole area composted and rototilled by the eight-year-old and his dad. Now we will have a garden and five-year-old Aaron will be able to pick his beloved cucumbers! There is much still to be done . . .but if a miracle can happen once, why not again? In the midst of all the activity that day, Bora arrived to collect her second chicken for the soup pot. This is a story that began last summer when Bora asked Anamaria if she could have a chicken to make a special African dish. She wanted one that was recently living and free from any toxins of a supermarket bird. So they caught one of the aging laying hens and Bora carried it proudly away. "Don't you want some more chickens?" "Oh, yes!" she replied. "And my friend would like one too." So a couple of days later she came to the door - tiny, slender and impeccably dressed. "I've come for a chicken." Hmm. I remembered the two hours I had spent, together with someone else, trying to catch the runaway chickens. (If anyone has ever tried to catch a chicken on the loose, you'll know how I felt). So, doubtfully, I took Bora to look for the chickens. We located one, and I got some grain as bait and tried to corner it. Meanwhile Bora walked up to the chicken, and - quick as a flash - grabbed it by the tail. Then she held the feet together and asked me to tie them with string so Mrs. Hen wouldn't flap around in her car, popped it in the back seat and off she drove. Now we are awaiting the next work project day with joyful anticipation. Community is not just a nice idea - some Utopian dream that doesn't quite work in reality. It is simply the most practical (and fulfilling) way to live: a win/win situation for all. It's the difference between two contrasting scenarios on the day your car breaks down on the way to work. In one instance it's a nuisance, in the other it's a life-threatening event. For those with limited economic and human resources it can instigate a chain reaction. You miss work so you lose your job; then you have no money to pay the rent so you are evicted from your apartment. Your car was impounded, daily gathering exorbitant impoundment fees, because you couldn't afford to get it towed and had to leave it at the side of the road. Now you have to rely on public transport to look for a job, apply for benefits and seek subsidized housing. As a member of a community such as Angelica Village, there is another scenario with a very different outcome. You make a couple of phone calls and find somebody who can take you to work. Another community member has a truck and tows your car to a mechanic he knows who is able to fix it with refurbished parts at minimum cost. It takes a few days, but people pitch in to give you rides to work. Others make sure you have groceries to tide you over. Within a week you're up and running, and the "nuisance" is behind you. Or take another situation we had here recently. A two-month-old infant contracted a severe respiratory infection and ended up in the ICU. His mother has two other children under three and is just completing her training as a beautician. Every hour in school is of the essence right now if she is to graduate. Her partner is a chef with limited time off. The community pitched in, taking the children to daycare, picking them up and feeding them before taking them home. The two little girls feel at home in the community, so this works for them as well as for their mother who is able to go straight from school to the hospital, thus spending the optimal amount of time with her little one. She has peace of mind to focus on his healing and well-being, knowing that others are taking care of basic needs for the family, such as food and diapers. Situations such as these arise for all of us from time to time. It's called life. For so many there is no safety net when the crisis strikes. Being part of a community holds life together in an interweaving pattern of mutual support and caring. Without a robust support group or money to tide you over, such life events can spell disaster. Community not only averts disaster but also brings people together in love and mutual help. By the way, the baby is thriving and his mother just got a job! Next time it may be her turn to pitch in for someone else. And she will do so with willingness and joy.